The Parker, a 177-unit multifamily property in El Monte, was recently acquired by Uhon Inc. The price was not disclosed. Located at 4640 Arden Way, the 4.3-acre garden-style property sits 15 miles east of Downtown Los Angeles and provides immediate access to major employment centers in LA, Orange County and the Inland Empire. It is located near the 10 and 605 Freeways, as well as the nearby Metrolink station. The Parker was originally built in 1963 and has undergone renovations to nearly 80 percent of the property. CBRE’s Dean Zander, Stewart Weston, and John Montakab represented the seller, a Los Angeles-based real estate firm. The buyer, a private capital investment company focused on multifamily acquisitions across the Western United States, represented itself. Financing was arranged by Brian Eisendrath and Cameron Chalfant of CBRE. 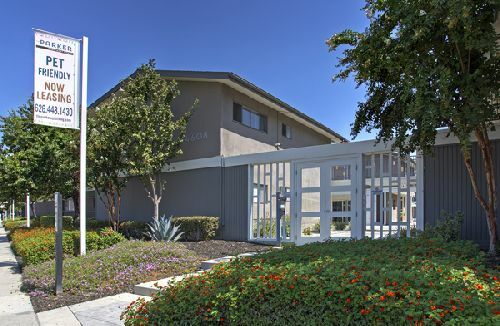 “Given its optimal location coupled with a continuously growing San Gabriel Valley and a shortage of multifamily housing, the Parker will continue to be a stable cash-flowing asset for the many years to come,” said Jeffrey Tea, who leads acquisitions for Uhon. Strong market fundamentals are attracting a wide variety of investors to workforce housing, creating good returns and helping to preserve affordable accommodation in lower-income communities, according to the latest research from CBRE. Workforce housing—rental communities that are affordable for low- to median-income workers—has outperformed the overall multifamily market for the past four years, with relatively low vacancy rates and above-average rent growth, according to CBRE research. Slow wage growth over the past decade contributing to a high number of potential renters, an extreme lack of new supply, and limited alternative options means strong and sustained demand for workforce housing apartments is expected to continue in 2019.